Welcome back from Iraq to our boys on the HMS Ark Royal!!!! 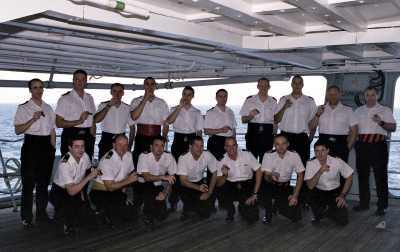 The guys were having a cigar evening on the quarterdeck! Thanks to Lt Damian Sheils for the photos! 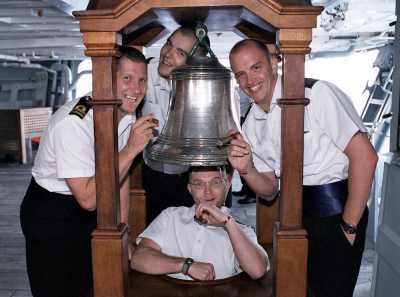 The 'Ship's Bell photo shows Lt Damian Sheils, Lt Pete Whitehead, POAEA Tom Adamson & POAEA Lou Lewis.